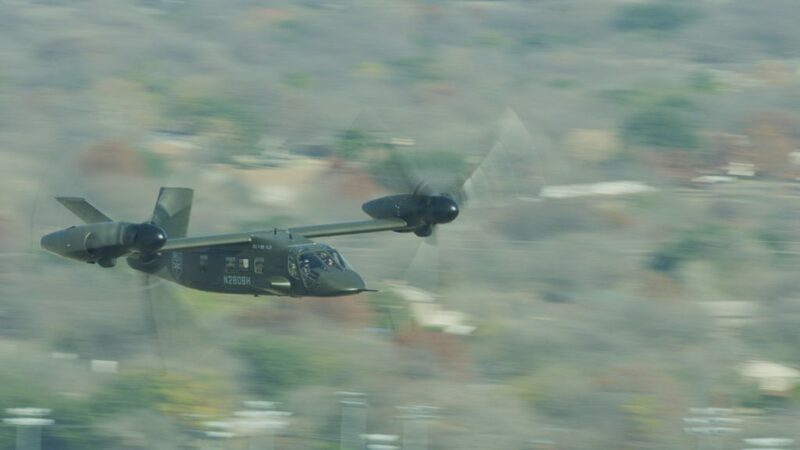 The Bell V-280 Valor successfully achieved its namesake optimal cruise speed of 280 knots/322 mph/519 km/h on Wednesday, 23 January 2019 at our Flight Research Center in Arlington, Texas. Building on a full year’s worth of testing and more than 85 hours of flight time, Bell’s V-280 Valor reached its namesake cruising speed of 280 knots/322 mph/519 km/h true airspeed. «It is a remarkable achievement to hit this airspeed for the V-280 Valor in just over a year of flight testing. Beyond the exemplary speed and agility of this aircraft, this significant milestone is yet another proof point that the V-280 is mature technology, and the future is now for FVL capability set 3», said Keith Flail, vice president of Advanced Vertical Lift Systems at Bell. «Cruising at twice the speed of legacy helicopters, with double the range, really changes the way the U.S. military can enable multi-domain operations. By eliminating forward refueling points alone, leaders can focus on operational goals while minimizing logistical burdens», said Ryan Ehinger, V-280 program manager at Bell. Demonstrated low and high-speed agility with fly-by-wire controls. On December 18, 2017, Bell Helicopter, a Textron Inc. company, announced that its V-280 Valor has achieved first flight. The V-280 Valor is a next-generation tiltrotor that is designed to provide unmatched agility, speed, range and payload capabilities at an affordable cost. This milestone represents exceptional progress on the V-280 development program and brings Bell Helicopter one step closer to creating the next generation of vertical lift aircraft for the U.S. military. «This is an exciting time for Bell Helicopter, and I could not be more proud of the progress we have made with first flight of the Bell V-280», says Mitch Snyder, President & CEO for Bell Helicopter. «First flight demonstrates our commitment to supporting Department of Defense leadership’s modernization priorities and acquisition reform initiatives. 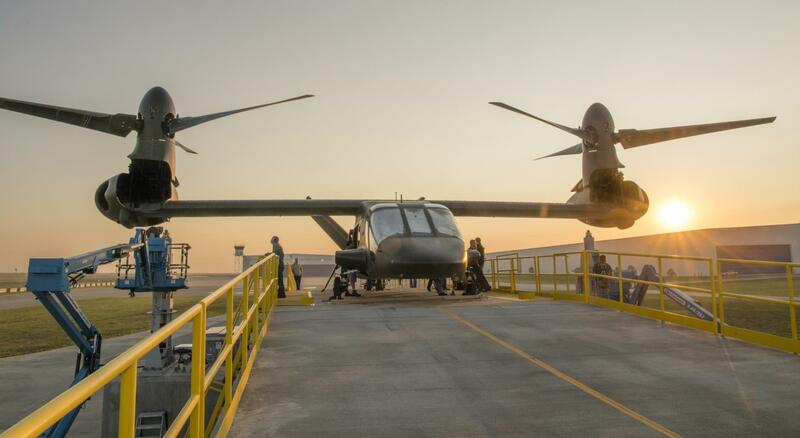 The Valor is designed to revolutionize vertical lift for the U.S. Army and represents a transformational aircraft for all the challenging missions our armed forces are asked to undertake». «We are thrilled to share in this success of the V-280 first flight with Team Valor», added Snyder. «The V-280 intends to completely transform what is possible for the military when it comes to battle planning and forward operations». The Bell V-280 Valor program is part of the Joint Multi Role Technology Demonstrator (JMR-TD) initiative. The JMR-TD program is the science and technology precursor to the Department of Defense’s Future Vertical Lift program. The V-280 program brings together the engineering resources and industrial capabilities of Bell Helicopter, Lockheed Martin, General Electric (GE), Moog, Israel Aerospace Industries (IAI), TRU Simulation & Training, Astronics, Eaton, GKN Aerospace, Lord, Meggitt and Spirit AeroSystems – collectively referred to as Team Valor. The Bell V-280 Valor is postured to provide the U.S. Army with the highest levels of maturity and technical readiness. The aircraft is designed to provide the best value in procurement, operations and support, and force structure, while delivering desired leap-ahead performance capabilities with increased maintainability, reliability and affordability to the Department of Defense (DoD). With twice the speed and range of conventional helicopters, the Valor is designed to offer maneuver commanders unmatched operational agility to self-deploy and perform a multitude of vertical lift missions currently unachievable in one aircraft. The Bell V-280 is a combat force multiplier with superior performance, payload, survivability, and reliability to give the warfighter the decisive advantage. Fixed engines maximize cabin ingress/egress clearance. 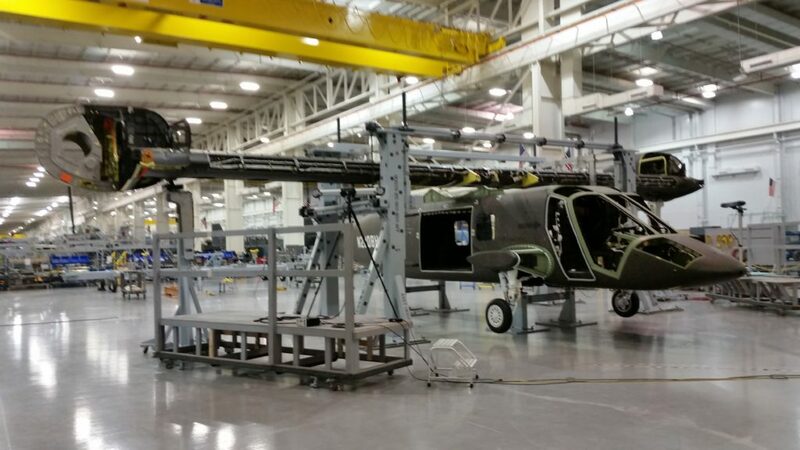 The Bell V-280 Valor has achieved 100% build completion and moved one step closer to its first flight this fall. The V-280 is the newest revolutionary aircraft in the tiltrotor family. The V-280 Valor was selected in August 2014 to advance, build and fly an aircraft within the Joint Multi Role Technology Demonstrator (JMR-TD) program. The V-280 has been designed to provide our military with the speed, range and operational productivity needed to complete any mission successfully and outmatch every opponent. 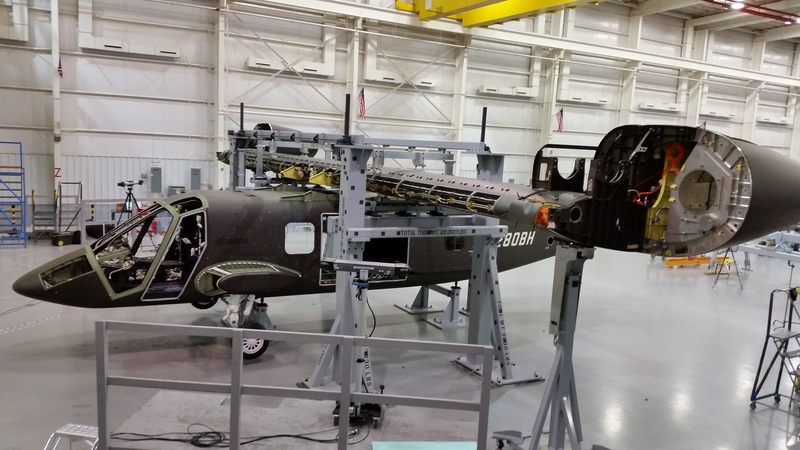 New innovations incorporated in the V-280 include stationary nacelles, which increases the ease of aircraft maintenance and safety of the ingress and egress. The newest tiltrotor offers fixed-wing high speed performance and low speed agility, giving soldiers and operators the option to select the best pace and maneuverability for their mission. Bell Helicopter, a Textron Inc. company, has successfully joined the V-280 Joint Multi Role Technology Demonstrator (JMR-TD) wing and nacelles to the aircraft fuselage. The milestone occurred last week at the company’s aircraft assembly center in Amarillo, Texas. «The V-280 wing, nacelles and fuselage are now assembled into the aircraft we’ve designed as the next generation tiltrotor», said Lisa Atherton, executive vice president of Military Business Development for Bell Helicopter. «This is a major milestone. The attention to detail from our employees, our suppliers and from all of Team Valor, today and throughout this entire process, has been astounding. Their efforts have resulted in an aircraft that is coming together quickly and according to schedule. We are excited and counting down to the first flight in 2017». The V-280 Valor is a next-generation tiltrotor that is designed to provide unmatched agility, speed, range, and payload capabilities at an affordable cost. The V-280’s tiltrotor technology converts Vertical Take-Off and Landing (VTOL) capability into a tactical, operational and strategic advantage. 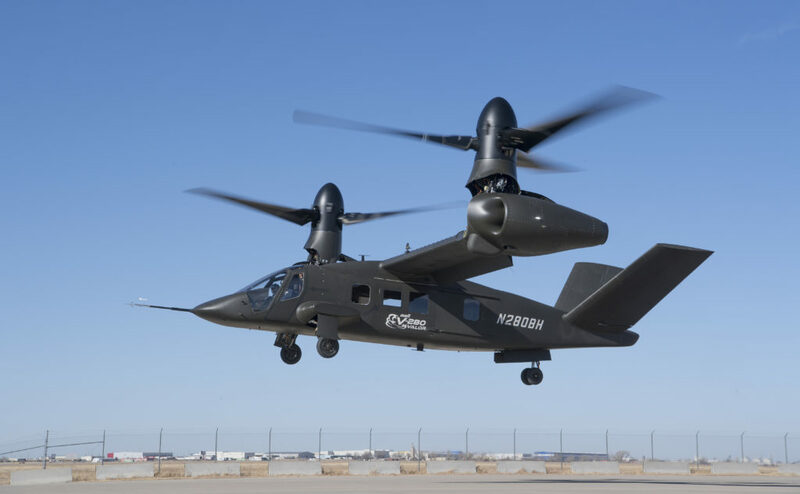 The revolutionary aircraft capitalizes on the more than 300,000 V-22 fleet flight hours, and leverages Bell Helicopter’s decades of tiltrotor experience. «The V-280 tiltrotor is designed with technology advancements that significantly reduce risk and cost, allowing the Department of Defense to field Future Vertical Lift (FVL) to the warfighter far earlier than previously anticipated. We have improved the manufacturing processes to arrive at a revolutionary aircraft with reduced sustainment costs and simplified maintenance procedures. This technology will provide the Department of Defense with the overmatch requirements to win in a complex world», said Atherton. The V-280 has an anticipated cruise speed of 280 KTAS/322 mph/518 km/h, with a 500-800 NM/575-921 miles/926-1,481 km combat range and 11 to 14 operators. The Valor benefits from a flexible design, matching multi-mission versatility with exceptional 6K/95 hover performance. Tiltrotor is the only vertical lift technology which can rapidly self-deploy to any theater, and can cover more than five times the area of current MEDEVAC platforms. The V-280 provides the low-speed hover agility of a helicopter with fixed wing range and efficiencies. In the coming weeks and months work on the V-280 will involve preparing for verification work leading to a tethered power-up at the Bell Helicopter facility in Amarillo in the first half of 2017. Development continues in the company’s flight control systems lab in Fort Worth. The lab integrates pilot inputs with flight control computers and flight controls, providing data for software that works with the hardware controlling flight loads and hydraulic performance. The T64-GE-419 engines and gearboxes are expected to be installed in the nacelles this November.